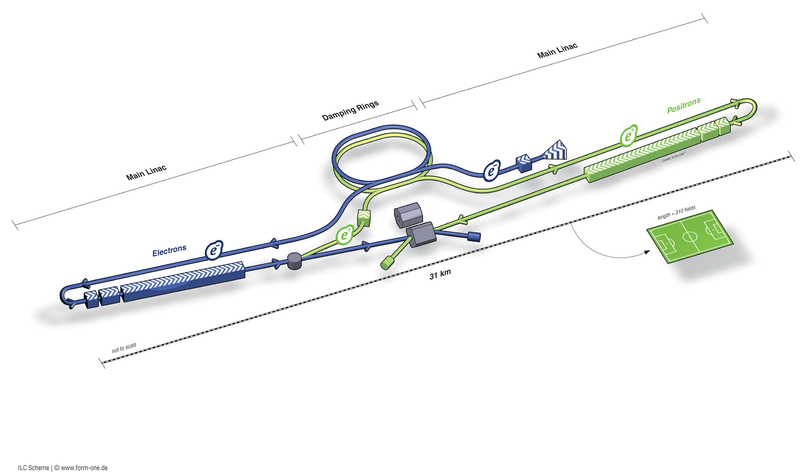 The International Linear Collider (ILC) is a large-scale research facility that will be built in an underground tunnel 20 kilometers in length (which could be expanded to 50 kilometers in the future). It will be the best and most advanced electron and positron accelerator and collider in the world. Researchers are cooperating internationally to realize this globally unique facility. Inside a 20km long tunnel underground, electrons and positrons will be accelerated to close to the speed of light, and then forced to collide head on. This will create a state similar to just one trillionth of a second after the creation of the universe. A variety of elementary particles will be seen by recreating the Big Bang for this tiny fraction of time, including the Higgs boson particle, which has role in controlling mass. By observing these particles, scientists will attempt to unravel mysteries that have puzzled humanity for hundreds of years: How did the universe come into existence? How was matter created? In addition, it is thought that the accelerator technology can be applied to a wide variety of fields, including healthcare and biotechnology, the extraction of new materials, information and communication, measurement, the environment and energy. The Large Hadron Collider (LHC), a circular accelerator 27 kilometers in diameter, is the world’s largest particle accelerator and is part of the CERN research center just outside of Geneva in Switzerland. It released some groundbreaking news in July of 2012: the Higgs boson particle had been discovered. Both the LHC and ILC are accelerators used for the study of the Higgs boson particle, but they each have very different roles. The LHC is used to collide protons, which are composite particles (they are made up of smaller particles). In contrast, the ILC will be used to collide the elementary electron and positron particles to create new elementary particles. The reactions of these elementary particles are easier to study, allowing scientists to learn more about the Higgs boson particle. If the ILC is successfully brought to Tohoku, researchers and engineers from all over the world will gather in Tohoku to build it. In addition, once actual research begins, a multicultural international city will form in Tohoku to become home to close to 3,000 researchers and their families. By creating an international “hub of knowledge”, it is hoped that the young people in the area, having seen leading-edge research up close, will have a thirst for knowledge and create new hopes and goals. For true recovery from the 2011 Tohoku earthquake and tsunami, we cannot just return Tohoku to the way it was before the disaster. We need a project that will serve as a symbol for the reconstruction efforts of Tohoku and Japan. The International Linear Collider (ILC) will be a world-leading elementary particle research facility, and will create an international research city that will be home to researchers from Japan and around the world. Iwate’s Kitakami mountain range is a strong candidate for the ILC, and as it draws related industries to the area, it will act as the key to true recovery. 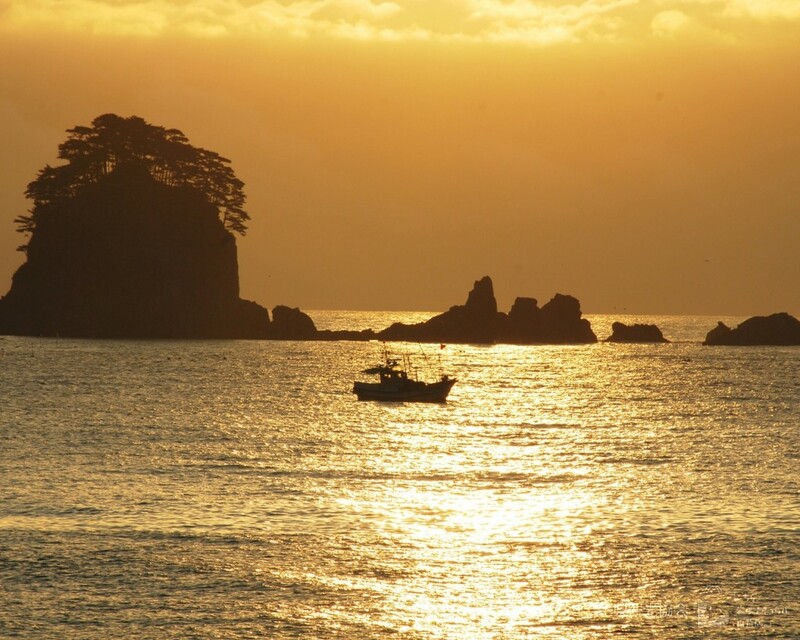 Therefore, Iwate Prefecture, along with a consortium of industry, academic and government groups, is working towards bringing the ILC to the prefecture.